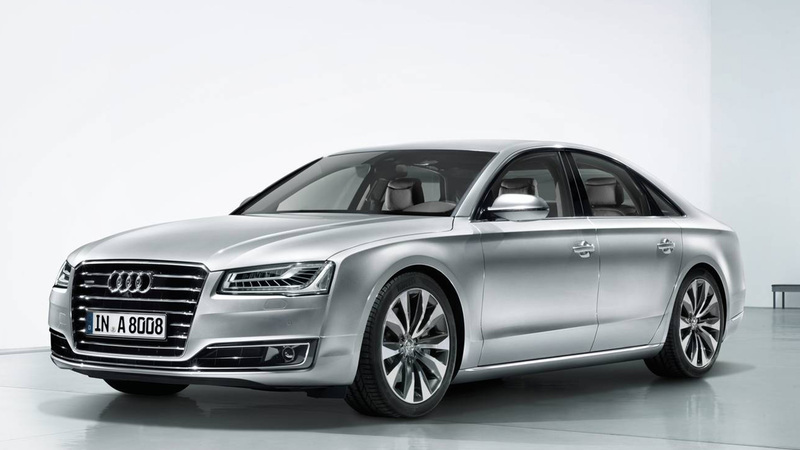 Introducing Audi A8 an iconic timeless piece of premium class next generation sedan car which will soon create a sharp bang in the automotive market. The leading German car manufacturer is making another benchmark by this marvelous gem creation which will leave a lasting impression on customers at a very first sight. The newly redesigned version will certainly receive a huge round of appreciation with a wide appeal and demand from customers all around the world. The New Audi A8 will provide the finest blend of the supreme level of luxury and comfort as it will be designed with a sleek touch of precision and sound perfection. It will be a super brilliant full-sized sedan car made with hi-tech modern innovation and possess autonomous driving capabilities which will give much ease to drivers to have a pleasurable and comfortable driving journey experience. It will create a distinctive brand identity with its uniquely compelling sporty design urban sedan appearance. Audi A8 will showcase a gleaming exterior design built with a robust body frame structure to exhibit a true feel of prestige and reputation. It will have a prominent exterior feature of larger rectangular shape full LED front headlights, Daytime running lights (DRL), single frame metallic emblem grille, under spoiler front fog lights, and 21-inches alloy wheels. On the rear side, it will provide more bold obvious display combining with illuminating LED tail lights, rear fog lights, rear bumper, and shark fin rear radio antenna. This smart and vibrant executive sedan car will be introduced with multiple body color choices such as brilliant black, floret silver, glacier white, Ibis White, monsoon gray, moonlight blue, and mythos black. This will add more charm and added attraction to this wonderful design car. This upcoming trendy magnificent sedan will provide a super spacious exquisite 5 passenger interior seating design. The seating will be finely stitched with brown and beige color leather fabric which will make customers to feel absolute comfort with an ease of legroom and headroom space. The rear side boot trunk will boost a tremendous value with extensive cargo storage loading capacity. The front side dashboard will give an ultra modern unusual contemporary appeal and equipped with state of the art features of Keyless entry, push start engine system, Audi Connect, MMI Navigation with voice control system, 14 Speakers Bose Surround Sound System, and bombastic dynamic Bang and Olufsen high-end sound system. It will be included with advanced dynamic driving safety features such as central driver assistance controller, adaptive driver assistant, lane departure warning system, predictive efficiency assistant, intersection assistant, emergency assistant, and pre-sense 360 degrees. This elite family-friendly all-wheel-drive sedan will be provided with 3.0 liters of V6 gasoline and diesel fuel engines as well as powered by 8-speed automatic Tiptronic transmission. Audi A8 will provide a tremendous demand and value appeal for all ages of customers by its dignified and sophisticated style look. It will bring a new wave of innovation of a new concept sedan car.